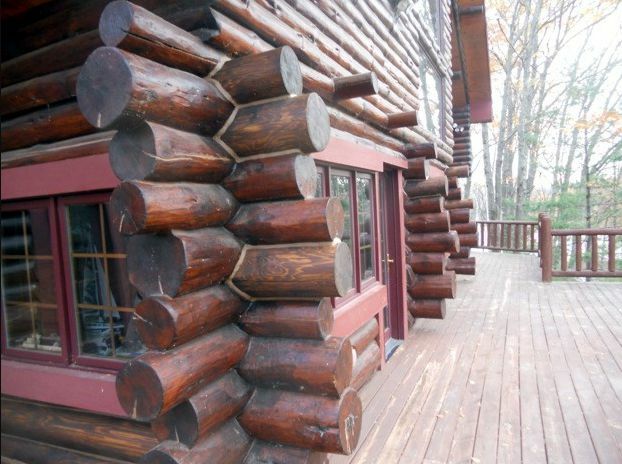 This is a majestic house with all of its large dimensional logs. It is truly one-of-a-kind. 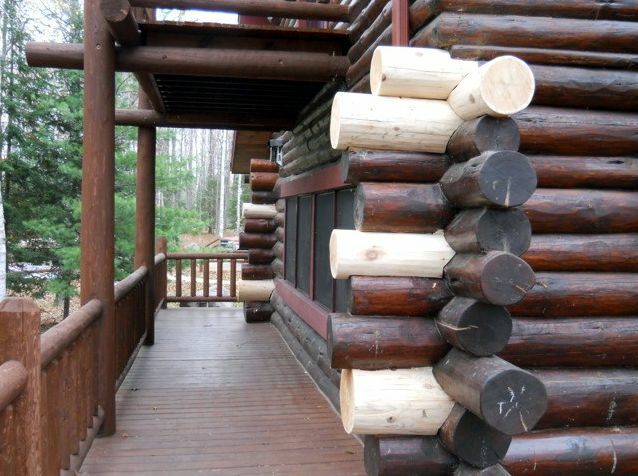 The problem was that the design called for the ends of the logs (crowns) to extend beyond the drip edge of the roof. Though this created a visually pleasing look, it also created the perfect set up for rot. 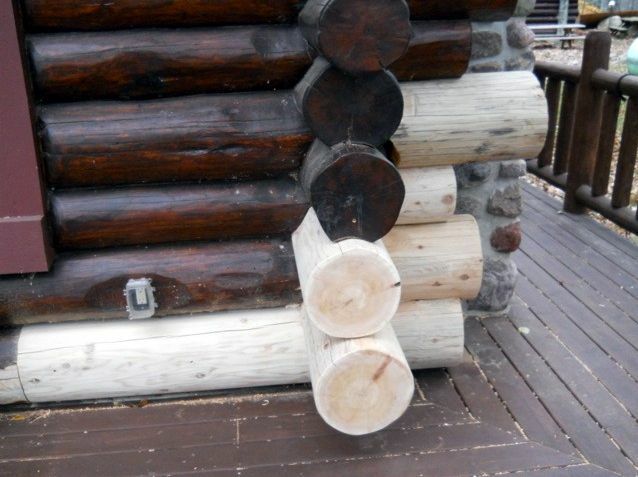 The log rot was evident mostly on the crowns because of this design feature. The crowns had no protection from water and snow and it was inevitable that they would develop rot. 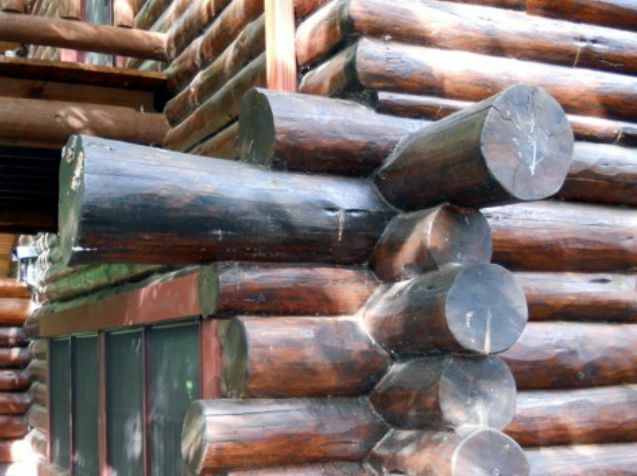 This is an impressive log structure. This crown stuck out too far. 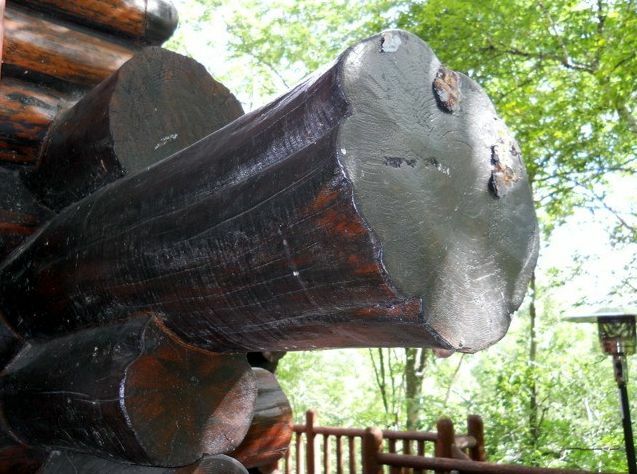 The dark black color on the logs is an indicator of too much moisture in them. Crowns replaced and ready for stain. Ideally, this can be prevented by having a good-sized overhanging roof. 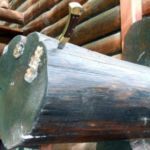 If that is not possible, then at the very least, the ends of the logs should be within the protection of the roof. 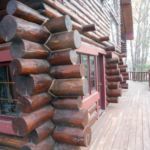 We replaced quite a few logs on this home. 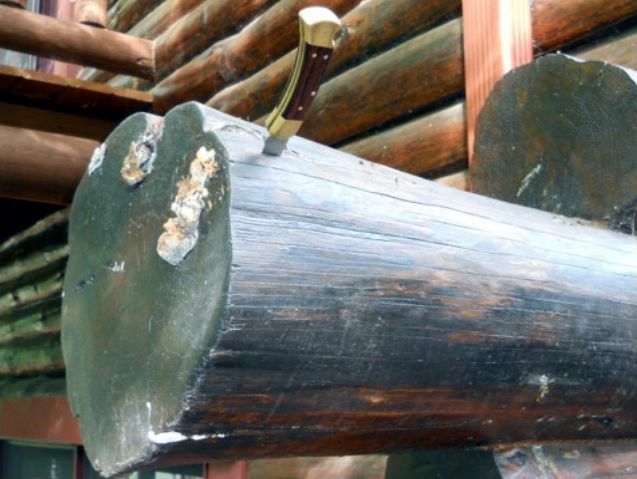 The size of them made for some interesting scribing in order to make them fit in with the other logs. 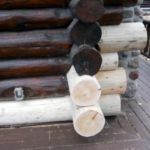 It takes years of experience to master the “art of scribing” logs. 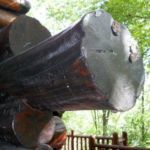 Edmunds and Company has highly skilled crafts people who have been doing this type of work for many years. Take a look at our map and see a job we did near you! 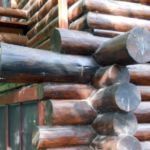 Edmunds & Company can repair all types of log home problems. Contact us to find out how we do it or call our toll free number 715-373-5744. 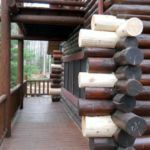 Insects in Log Homes – What to Do?